You are currently working on the changing regulatory structure of groundwater in California, and in particular groundwater trading. Can you tell us a little more about your work? 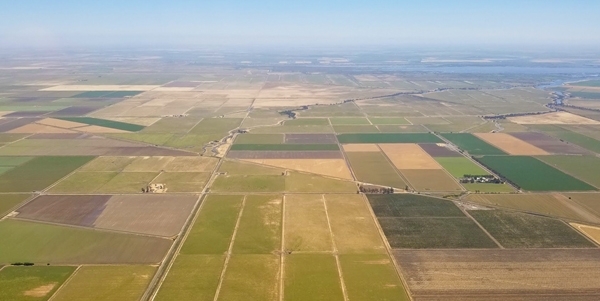 At the end of 2014, the California legislature passed a major statewide water regulation, the Sustainable Groundwater Management Act or SGMA, requiring groundwater agencies throughout California to correct the over-extraction of groundwater. In my work, I answered some economic questions that are relevant to the implementation of this new law. 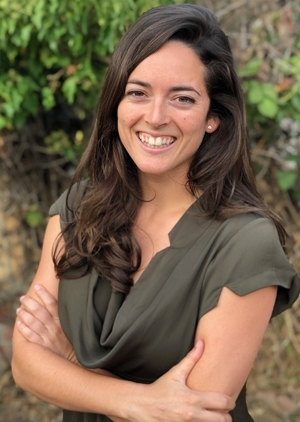 For my dissertation research at UC Davis, I estimated groundwater demand curves for agricultural users in Southern California, quantified the economic impacts of groundwater trading, and then considered the potential for players in the market, such as big vertically integrated agribusiness firms, to influence market outcomes. This is considered to be one potential unintended consequence of water marketing. My research in general is inspired by concerns about climate change, its impacts to our water supply, and finding ways to adapt. I focus on understanding incentives and the impacts of regulation and policy. For example, I have been studying the potential of water marketing as a strategy to adapt to a changing water landscape by simulating water trade between agricultural and urban users in the face of water supply curtailments. We want to understand the extent to which urban suppliers can buy water from agriculture in order to ease the economic burden of drought. Additionally, I am researching how water prices influence the adoption of water-saving agricultural technology, such as more efficient irrigation systems and less water-intensive crops. The Coachella Canal in the Coachella Valley Water District of southern California. Photo by Ellen Bruno. My research is very policy-oriented, interdisciplinary, and defined by collaborations with state and regional government agencies. All of the work I just described has been conducted with support from water agencies such as the Coachella Valley Water District in Riverside County and the Pajaro Valley Water District in Santa Cruz and Monterey counties. I am also now beginning a collaboration with UC Davis researchers and the State Water Resource Control Board to understand the costs and benefits of regulating water leakage in the distribution systems of urban water retailers. Finally, I am helping the California Department of Water Resources to catalogue the economic costs and benefits of artificial groundwater recharge using floodwater. What do you see as some of the most important but under-appreciated water issues on the horizon? The main issue that I see is one that has been a feature of water allocation in California for some time, but is becoming more and more important in a future characterized by increased water scarcity. This issue is the inefficient allocation of scarce water resources. This misallocation is in part due to inefficient pricing of water. In general, when people are given a low price for a good or product, they tend to use or buy more of it than they would if it were more expensive. In California and many other places, water is priced “at cost”, meaning the end user only pays for things like the energy costs to deliver water or the price to treat water and maintain distribution systems, but not for the water itself. But, water is more valuable than is portrayed by the prices that consumers face. When faced with low prices, we tend to consume more in aggregate than is ideal. This is an example of where market mechanisms fail to achieve an economically efficient outcome or, in other words, an outcome that maximizes the total social net benefit of using that water. With a growing population and a changing climate, it becomes ever more important to correct this issue and move toward a system that allows us to use our limited water resources more effectively. What do you find most interesting or challenging about working on California water issues? One thing that I find interesting and challenging about California water is the many diverse and often competing stakeholders, from large agricultural players that export food all around the word to small, rural communities that depend on groundwater wells for drinking supply. We have large populations in cities like Los Angeles and San Francisco consuming food grown in the Valley and drinking water that is shipped from far-away places, affecting endangered fish species like the Delta Smelt. Everyone's actions are interconnected. One component of Bruno’s research is understanding how prices influence the adoption of water-saving agricultural technology. Photo by Casey Uy. I am intrigued by the history that brought us to where we are today and I am optimistic about the role that economics and policy can play to improve the well-being of all those that depend on water. With an understanding of economic incentives and the implementation of informed policies, I believe we can transition to a system that better allocates water resources. On a more personal note, I grew up in California and my mom worked for thirty six years in the water industry in Los Angeles. I have always cared about water issues and had an appreciation for the complexities from an early age. I feel honored to get to work in UC Cooperative Extension on water policy, doing applied research and outreach to benefit Californians and improve our approach to water management.